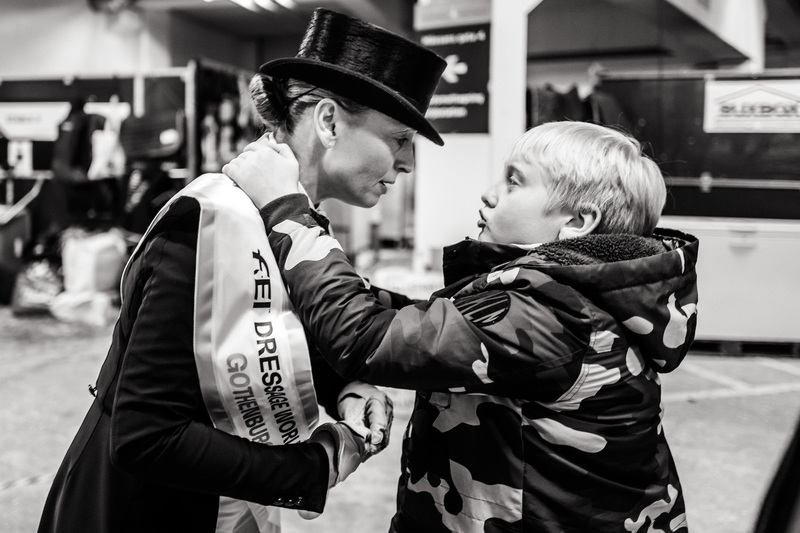 Stay up to speed with a behind-the-scenes look at the FEI World Cup Finals™ every day! It’s the final day of the FEI World Cup Finals™ here in Gothenburg and for some, the excitement of an incredible 5 days of word-class sport proves to be too much! It’s hard not to be impressed though with the calibre of talent that has been on show this week, with the Dressage finishing yesterday evening in the crowning of the Queen of the sport, Isabell Werth herself as the FEI Dressage World Cup™ winner for the 3rd time in a row. So the climax of the event is today with the final battle for the Longines FEI Jumping World Cup™ up for grabs, and with such a close fight to the top on the cards today, this afternoon is going to be an incredible spectacle! The final day kicks off to determine who will be lifting the trophy this year. With 25 riders looking for victory, will it be a Swedish win? With the atmosphere here at the moment, it will raise the roof if it is. This is the end of the event for all of us here at the FEI and it’s been once again an amazing experience, thanks to everyone involved! 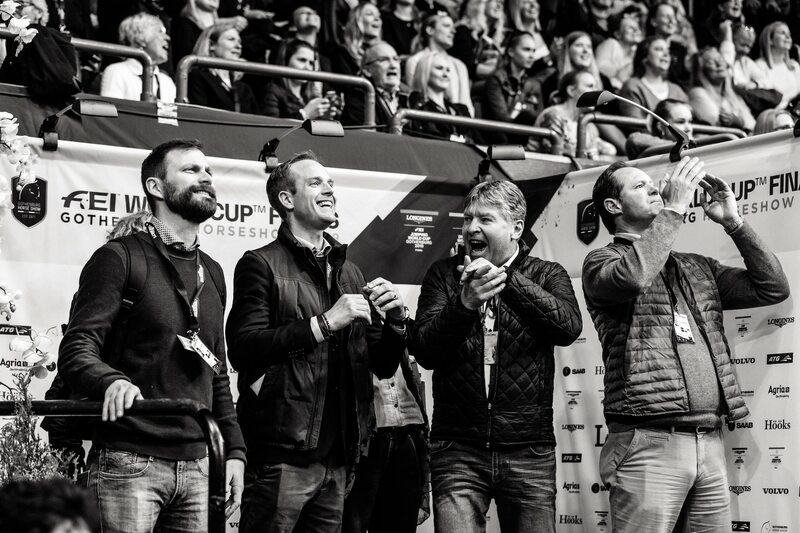 We hope it’s been as much fun for you, whether you are here at the arena or watching along live on FEI TV, and we look forward to the next one! Saturday 6th April - Dressage Final Day! You can tell that the time is creeping closer to the highlights of this incredible event - the Final competitions in Dressage and Jumping - looking at the crowds pouring into the arena every hour! Things are hotting up with thousands of people from all over Sweden, and the world, turning up to see who will be crowned World Champion in their favourite sport! The crowds were also out for another reason as This Esme, the equestrian YouTube star, made a live appearance at the EuroHorse shopping village next door to the Scandinavium! Esme, a young equestrian from the UK, has become a social media sensation with her videos on her equestrian life being viewed over 37 million times. She delighted her fans by chatting with them and talking some selfies that seemed to leave them looking like their day had been made! Esme will be making a second appearance at the EuroHorse shopping village, connected to the Scandinavium, tomorrow Sunday 7th April at 11:30am, so come if you want to meet her in person, come along and say Hi! If you’re on Instagram, and who isn’t (! ), then you can head over to the new FEI GIPHY page where we are posting GIFs and stickers on the event every day! It can be easy to forget just how big a deal the Gothenburg Horse Show is to not just equestrian fans, but the Swedes in particular. Speaking with one of the local shuttle drivers this morning who kindly take us from the Scandinavium arena to the hotel, she was a local lady who told me how much the event means to Swedish people. As a kid, she piled into her family’s car (I’m guessing Volvo here…) and along with her parents and siblings, drove over 4 hours to be a part of the event, from the very first one in 1979. And they weren’t alone, with whole stables and equestrian clubs sometimes shutting down for a few days and making a mini-holiday out of it. Its no wonder the Swedes are horse-mad! In Sweden, it’s very accessible for everyone, no matter their background or financial status, to experience equestrian sports. It’s true, they pay a lot of taxes, but this can come back in the form of local communities building barns, arenas and facilities for equestrian sports to be enjoyed by all. So it comes as no surprise to feel and hear the roars of excitement in the stands here, as the Swedish support for equestrian sport reaches fever pitch with the Dressage kicking off this afternoon and the continuation of the Jumping this evening. Catch all the action on FEI TV! The FEI have landed and are slowly taking over most available space with laptops, phones, chargers and lots of coffee. To give you guys an idea of what it's like at a major event like this, we'll be updating a blog right here each day this week as this incredible event unfolds. Today we have the first of 2 very special guests arriving, Olivia Towers. 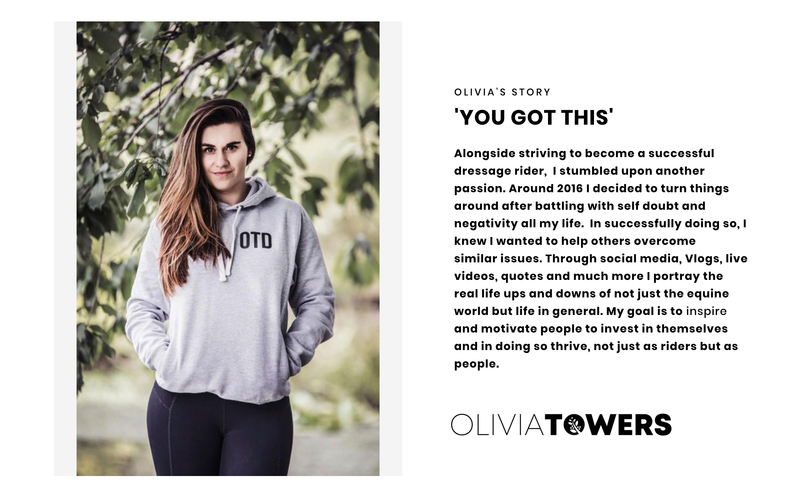 Olivia is one of the most prominent Dressage YouTubers around and we have invited her to come to Gothenburg and film a couple of videos for us, which we are very excited about. Tomorrow, This Esme will be arriving to do the same for all you Jumping fans out there. 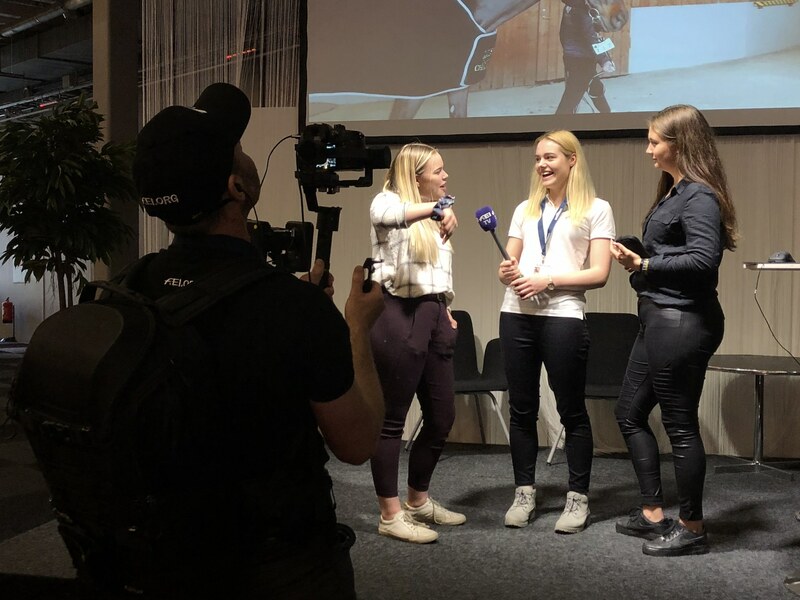 Both Esme and Olivia will be here throughout the week to record the behind-the-scenes goings on, take you on a look around the venue, maybe speak to some athletes, and most importantly - find some ponies! Esme will also be hosting a meet and greet for her fans, on Saturday 6th at 12:45 - 13:30 and Sunday 7th at 11:30 - 12:30.